Bonmarché is the UK's largest womenswear value retailer. We pride ourselves’ on offering quality clothing with appropriate styling, great value and in a wide range of sizes, along with outstanding customer service. The Bonmarché fashion range includes casual and formal separates, outerwear, dresses, swimwear, lingerie, nightwear and accessories. 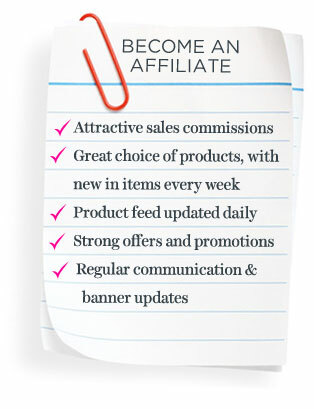 New affiliates can join the programme through the affiliate window.